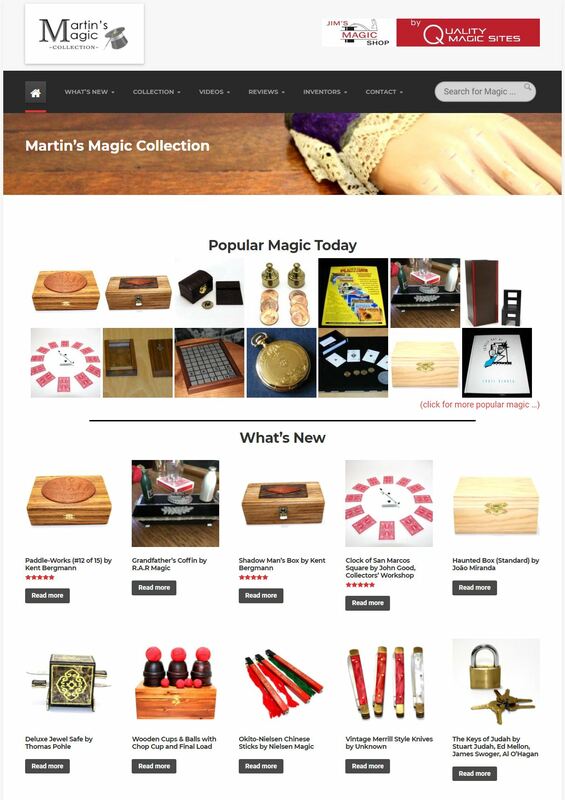 MartinsMagic.com features the largest collection of magic online today and if the collection was intact it would fetch over $1 Million! Sadly, we don’t have the finances or the space to keep all the magic that appears in the collection and so from time to time we sell the magic here. To see the items we have already sold click here. We are not a traditional dealer because we typically only have one of each item and we only carry the items you can see on this site. If you want a traditional dealer we recommend: Stevens Magic and Viking Magic. In addition, although nearly every item is in like new condition, they have normally been opened to take photos for MartinsMagic.com. This is one of the reasons we discount most of the items we sell. Not because they are used or defective but just because we opened them to take photos. Obviously for vintage items this might not be the case and we price accordingly. We take photos of the actual items we sell so you can see what you are buying, but if you have any doubts just ask. In some cases our photos have extra props added to explain the effect better (e.g. coins or glasses). If you have any doubts as to what you will receive just contact us. To see our feedbacks on ebay click here.